Media Hub - Sacrificial Layers for Carabiners. For more on this topic, as well as lots of other aerial rigging and safety information we highly recommend this book by Steven Santos. Carabiners, swivels and other components used in rigging aerial acrobatics apparatus are often made with steel or aluminium. There are pros and cons to each, the most obvious is aluminium's lighter weight and steel's higher strength. For these reasons you may have a mixture of these materials in your rigging. Aluminium is a softer metal than steel. This can cause problems when aluminium components are connected directly to steel ones. The harder steel can start to wear away the aluminium as the rigging moves. 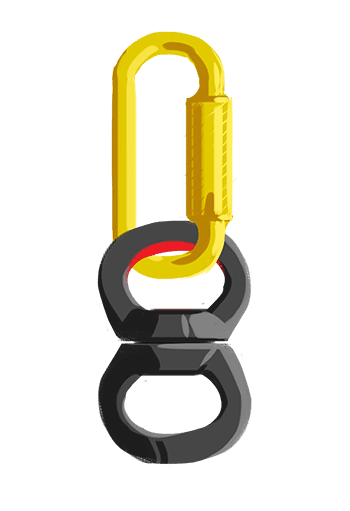 This, obviously, can reduce the strength of the aluminium component potentially making your rigging unsafe as well as potentially creating abrasive or sharp edges if left unattended. That's not to say that steel can't also be subject to wear as well. You should visually inspect all of your rigging and apparatus on a regular basis, or better yet, every time you train or perform. When looking for wear you should always refer to the manufacturer's instructions and information. A good rule of thumb regarding wear in carabiners is to discard any steel carabiner that has worn 10% or more of the original diameter. 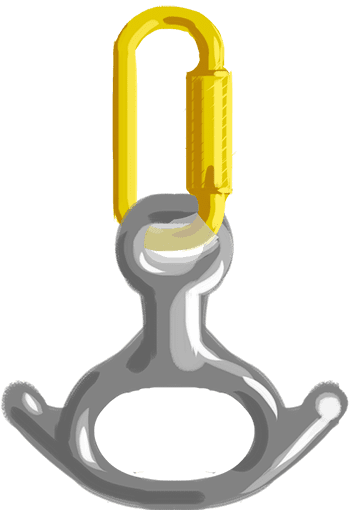 Aluminium carabiners should be discarded if the wear is 5% of the original diameter. 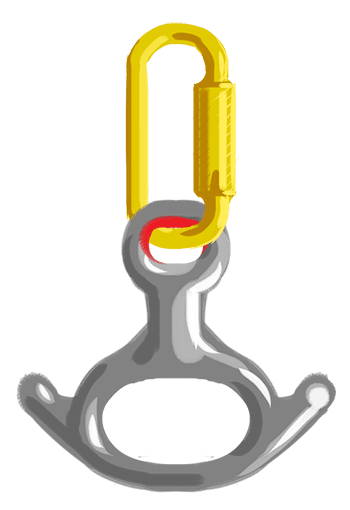 The diagrams below show in red the part of the aluminium figure 8 or swivel that could start wearing away due to the direct contact from a steel carabiner. The different hardness of metals aren't the only thing to consider when checking for wear, as steel AND aluminium can both wear on softer materials, such as the fabrics that make up nylon slings. You can help to avoid wear on your rigging by using a sacrificial layer. Sacrificial layers are made of tough silicone rubber that sits between components (this can also be done using tape, but we find rubber both easier to inspect and to replace). They sacrifice themselves for your safety! The rubber is pretty durable and will last quite a long time but the sacrificial layer will start to wear away long before any damage is done to the metal of your components.  By regularly inspecting your set up you can spot when the sacrificial layer is starting to wear and replace it. 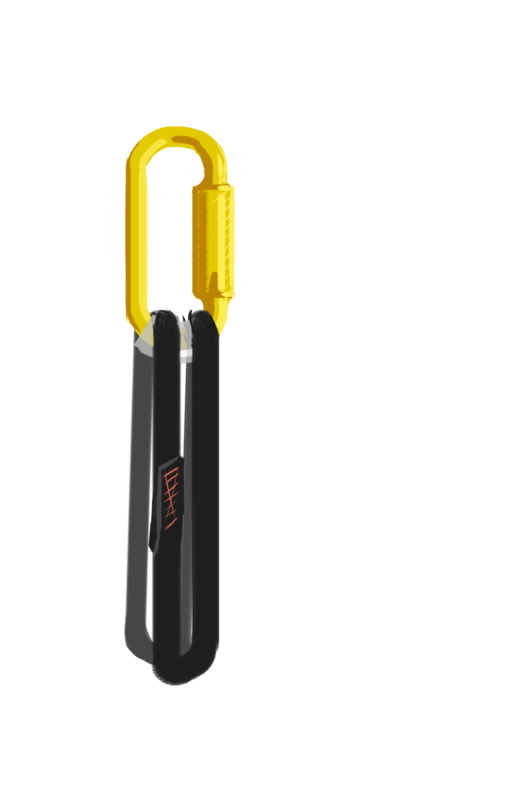 This will extend the life of your carabiners and other components as well as making your rigging safer. You must still check your carabiners and other components for wear and discard any that have become unsafe. A sacrificial layer does not add any strength to the system so will not make any damaged rigging safe. The rubber is inexpensive (we sell it over here) and has the added bonus of stopping your components making noise as they move against each other. 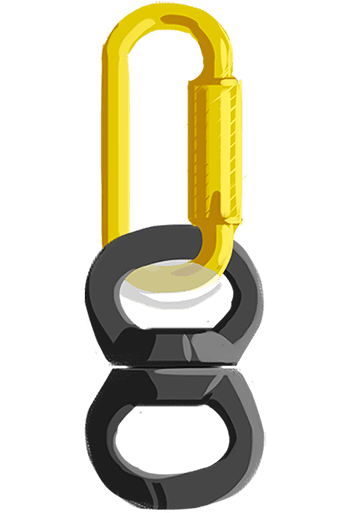 Below you can see illustrations of how the sacrificial silicone rubber tubing has been placed on the carabiner in the location where the equipment is susceptible to wear. With some of our items, such as our aerial rings, you may find the tubing too large for the gap you need to fill. In these cases it is perfectly fine to trim the tubing down so it fits. We have found that cutting 2cm out of the tubing makes it fit perfectly into our aerial ring's welded steel eyes. 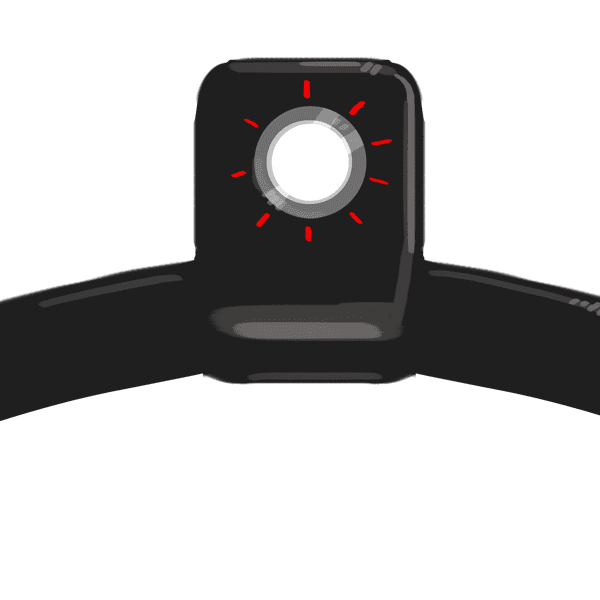 As with any rigging situation, the key is to regularly check each individual component for wear and damage. However, these sacrificial layers of tubing mean that a visual inspection is easier, and your equipment should last a fair while longer. It is worth noting that this does not prevent any internal wear, and manufacturer's guidelines for product lifespans should still be followed.